The Branson Ferris Wheel was formerly Chicago's iconic Navy Pier Ferris Wheel, ridden by nearly 17 million people from 1995 to 2015. Standing 150 feet tall, its 40 gondolas hold 240 riders, and it lights up the night with 16,000 LED lights. The Branson Ferris Wheel boasts spectacular views of the famed entertainment corridor and the picturesque Ozark Mountains. A Music and Light Spectacular! Tune into 90.9 FM to listen to Electrify right from your car or bus. Show times are at 7, 8, 9 and 10 pm nightly on the hour every hour after dark (weather permitting). 40 gondolas, 240 passengers, 6 passengers per gondola, 16,000 LED lights. The Branson Ferris Wheel is a continuous rotation, but can be stopped for guest assistance. Eating, drinking, smoking, chewing gum, or chewing tobacco are not allowed. Riders must remain seated and keep hands, feet, and head inside gondola at all times. Rocking of gondola is not permitted. Listen to all instructions from Branson Ferris Wheel staff at all times. Branson Ferris Wheel staff are not responsible for unattended, lost, stolen, or damaged personal property. Selfie Sticks, poles, strollers, wheelchairs, and walkers are not permitted on the ride. Guests with difficulty transitioning between stationary platforms and moving platforms should see an attendant for alternate boarding. Have a serious medical condition. Have back or neck problems. Have heart trouble, high blood pressure, or nervous disorders. Consumed alcohol or are under the influence of drugs. Are claustrophobic or have a fear of heights. 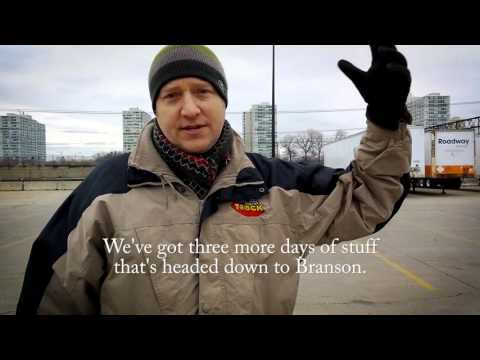 How many lights does it take to light the Branson Ferris Wheel? Would you believe, we've added 16,000 LED fixtures holding over 144,000 individual lights! Each light can be computer-controlled to light up the Branson sky in an array of colors and animations. But there’s more than meets the eye here! 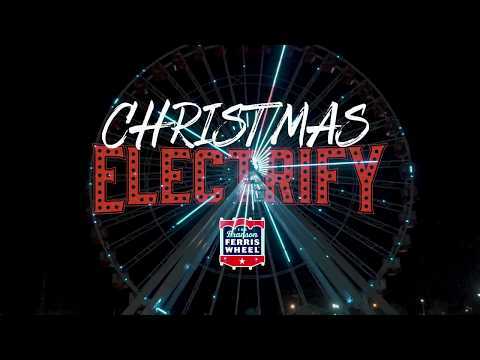 The Branson Ferris Wheel is built to last for generations, with its foundation constructed using over 4 million pounds of concrete, over 6 million pounds of gravel and 80,000 pounds of steel, and piers that go down as far as 23 ft. into the solid rock beneath you! George Washington Gale Ferris, Jr. designed a revolving steel observation wheel for the World's Columbian Exposition in Chicago. It debuted on June 21, 1893. This engineering feat became America's answer to the recently completed Eiffel Tower in Paris. That original Ferris wheel was 264 feet tall and was illuminated by 2,500 Edison incandescent lamps. The 36 passenger cars held 60 people each and had 40 revolving chairs, allowing for a total capacity of 2,160 passengers. This wheel’s legacy has lived on to make the Ferris wheel one of the world’s most beloved attractions. Chicago’s Navy Pier Ferris Wheel was inspired by the original Ferris wheel. It opened on July 1, 1995 as the focal point of the newly renovated Navy Pier. It was 150 feet tall and displayed 16,000 lights. Its 40 gondolas held 6 people each, allowing for a total capacity of 240 riders. It took its last spin there on September 27, 2015 to make room for a bigger wheel. Providing nearly 17 million rides, it was an iconic landmark and part of Chicago’s skyline for 20 years. 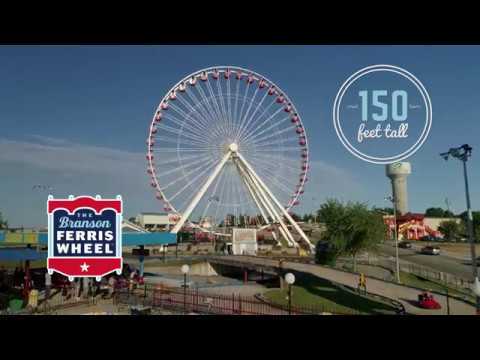 With its move to Branson, Missouri in 2016, this Ferris wheel serves as an icon in a very different setting. The Branson Ferris Wheel offers spectacular views of the famed entertainment corridor and the Ozark Mountains.